Kepler is a space observatory launched by NASA to discover Earth-size planets orbiting other stars. The spacecraft, named after the Renaissance astronomer Johannes Kepler was launched on March 7, 2009. 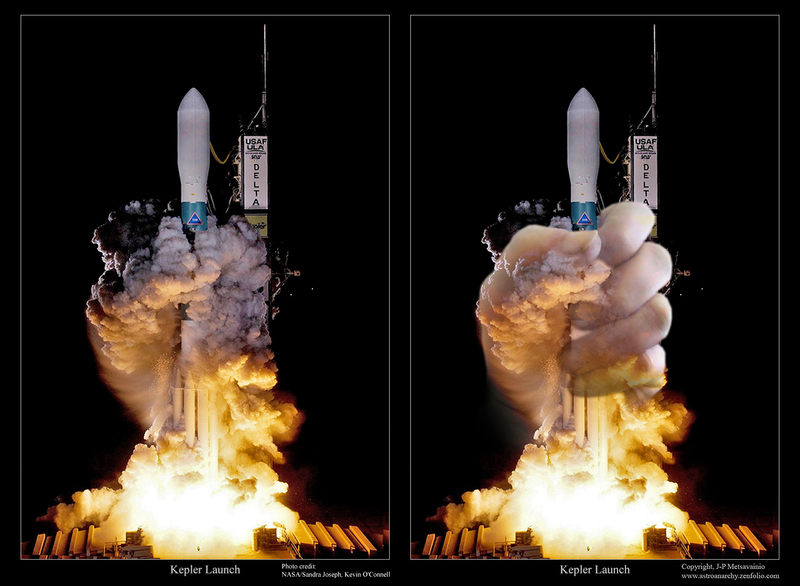 I spotted the NASA picture out of the launch and I simply had to do this manipulation to show, how I saw the photo at the first time. Original photo credit: NASA/Sandra Joseph, Kevin O'Connell. Image manipulation by J-P Metsavainio, Astro Anarchy Observatory, Oulu, Finland.